TheBlueGuerilla: Zionist Federation Hold Celeb Bash for Israel's 65th Birthday. 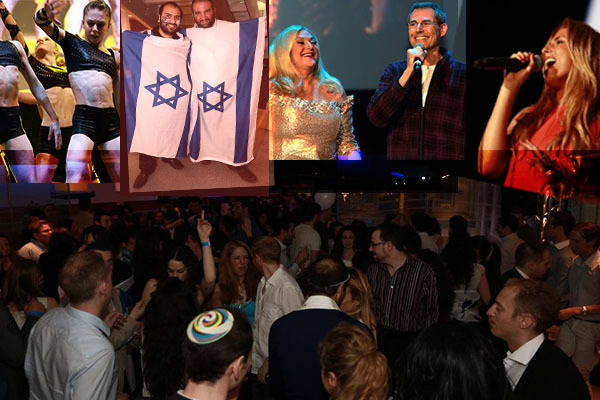 Zionist Federation Hold Celeb Bash for Israel's 65th Birthday. tbg can reveal that the Zionist Federation (ZF) held a sensational event at Wembley Arena this week to celebrate Israel's 65th birthday. ZF were joined by a raucous 6,000 people at Wembley and witnessed performances from TV celebrities such as Stacy Soloman, Uri Geller, Britain's Got Talent winners, Spelbound, while the night was MC'd by Vanessa Feltz. Spelbound danced their way into the audiences hearts while Stacey Soloman sang a medley of songs including a rousing rendition of ‘What a Wonderful World’. The show was completed with Israeli singers Ivri Lider, Israel’s male singer of the Year. And Ishtar, "the Madonna" of the Middle East. Post show there was a lavish after-party held exclusively for young professionals. The DJ was another Israeli, DJ Adi Ulamansky, who flew in especially from Israel to spin some tracks. Also performing was Chico and the Gypsies- who did a great version of Bamboleo and Mark Maier added a touch of comedy to the night. It was a great night for thousands of people to come together to celebrate Israel's 65th birthday. Some of my favourite DJs are Israeli; Astrix, Astral Projection, Infected Mushroom etc. I'd love CFI to fund a trip to a psytrance festival, could I put it under 'cultural exchange? '.